oin up for the very first meeting of the Edinburgh Neurons AI meet up group. 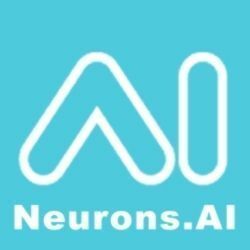 Neurons AI is a UK and Global meet up group for AI enthusiasts and professionals. The meet up will be informal and a chance to meet like minded individuals in the Edinburgh area. The first theme is topical as the Museum of Scotland is running an exhibition on Robots. We will be looking at Robotics and Automous vehicle and there will be a couple of short presentations on this topic. We are building a strong team of chapter leaders and meetup groups across the globe, but are always looking to add to the Neurons team. We have a number of chapters that require leaders / co-leaders urgently. Helping to run a Neurons Chapter is hugely rewarding, allows you to become the centre of the local AI community, raising your own profile and increasing your network of knowledgable people on the subject. We provide central support and guidance as well as helping to find speakers and promote the events. So please contact us as soon as possible at meetups@neurons.ai if you are interested to find out more. When you email please specify your geographic location / city and country. In our next Neurons meetup Ms Edit Dévényi, head of customer experience department at K&H bank will talk about banks’ and insurance companies’ daily operational tasks and challenges where advanced machine learning algorithms, big data analyitics or other artificial intelligence related fields can enable simpler and faster processes, higher quality customised services or new ways of consultancy for increasing customer satisfaction. She will show a couple of specific examples for demonstrating the above. The event will be held in Hungarian. We are very pleased to announce our first meetup of 2019. In our next meetup Viktor Boldog, AI & Analytics Business Development Manager @ DXC Technology will share his view on the possible futures of industries and eco-systems driven by A.I. and new innovative technologies! The meetup will be held in Hungarian language. We are already planning new chapters due to launch in Q1 2019. We are expanding our reach north, with Newcastle and Edinburgh chapters. Both chapters have really strong chapter leaders and we are very excited to release details of the first meetings for both Chapters soon. We are still looking for a Chapter Leader for Manchester, so if you are interested or know someone that would be please let us know via our contact us form. We will also be planning the next meeting for our very successful Leeds Chapter for early 2019 too, if you have any ideas for speaker or topics, again let us know. Prof Frangi is Diamond Jubilee Chair in Computational Medicine at the University of Leeds, Leeds, UK, with join appointments at the School of Computing and the School of Medicine. He leads the Centre for Computational Imaging and Simulation Technologies in Biomedicine. Born in Argentina, he obtained his degree in Telecommunications Engineering from the Technical University of Catalonia (Barcelona) in 1996 and pursue his PhD in Medicine at the Image Sciences Institute of the University Medical Centre Utrecht University on model-based cardiovascular image analysis. Prof Frangi’s main research interests lay at the crossroad of medical image analysis and modelling with emphasis on machine learning (phenomenological models) and computational physiology (mechanistic models). His highly interdisciplinary work has been translated to the areas of cardiovascular, musculoskeletal and neuro sciences. He’s been principal investigator or scientific coordinator of over 25 national and European projects, both funded by public and private bodies. Prof Frangi has edited several books, published 7 editorial articles and over 200 journal papers in key international journals of his research field and over 230 book chapters and international conference papers with an h-index 53 and over 19,900 citations according to Google-Scholar. He has been General Chair of MICCAI (Intl Conf on Medical Image Computing and Computer Assisted Interventions) in 2018, Programme Committee Member of various MICCAI editions, International Liaison of ISBI 2009, Tutorials Co-Chair of MICCAI 2010, and Program Co-chair of MICCAI 2015. He was also General Chair for ISBI 2012 held in Barcelona. Prof Frangi is Chair of the Editorial Board of the MICCAI-Elsevier Book Series (2017-2020), and serves as Associate Editor of IEEE Trans on Medical Imaging, Medical Image Analysis, SIAM Journal Imaging Sciences, Computer Vision and Image Understanding journals. Please bring a laptop with Anaconda installed if you have one – if not don’t worry.